Why not try formal dresses? 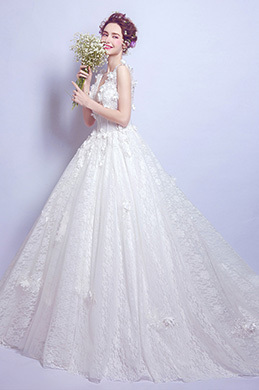 These Applique Embroidery Charming Strapless Fitted Evening Dress are delicate and exquisite. eDressit has a large amount of high quality formal gowns that with great quality and trendy styles. Every woman likes to be elegant and show off the fashion style. Whether you are wearing long evening dresses, or lovely cocktail dresses, eDressit promises you best dresses. 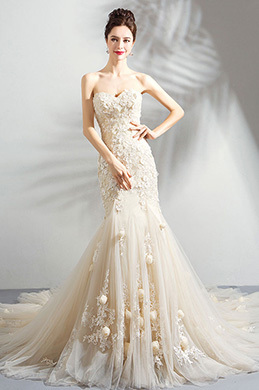 With more than ten years professional experience, eDressit designs very charming and beautiful Applique Embroidery 2019 Charming Strapless Fitted Evening Dress. You, and your friends can all find out the most fitted dress for their occasions and tastes. Catch up with the new trend and turn to be an elegant woman.